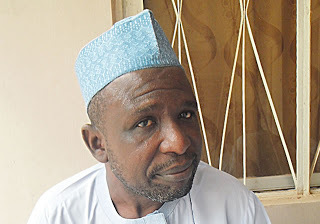 One of the three factional leaders of the All Progressives Congress in Kano State, Hussaini Mairiga, in this interview with TED ODOGWU, urges the party’s national leaders to resolve the lingering crisis in the state. You were recently quoted to have described President Muhammadu Buhari as a failure. Why did you say that? Yes, because all Nigerians felt that as soon as Buhari came to power, they would feel some relief after the hardship from the immediate-past administration of Goodluck Jonathan. But from all indications, Jonathan’s Government is better than our government. Meanwhile, the prices of all goods and services in Nigeria have gone up, particularly essential commodities. Each time one buys a product from the market and goes back the second day; one will notice that the price has drastically increased. . It’s indeed failure to him and us, the APC members and followers of the party. The painful aspect is that we turn a blind eye when our own is doing something wrong. Each time the President goes wrong, it’s better to tell him right away than to wait until he leaves government before cataloguing his misdeeds. Some Nigerians agree with you but some people have accused you of making the statements because your sources of illegal wealth have been cut off by the President. Is that what this is all about? Those blaming me for speaking the truth should tell Nigerians what I have done wrong. As long as I live, I will not stop speaking the truth. However, I must make it abundantly clear to my critics that I am a bona fide Nigerian. I am a businessman, I am popularly known as Mairiga (dealer in clothing). Anybody, who knows me, identifies me as Mairiga, as well as a farmer. Nobody will describe me as a stranger in Nigeria or a smuggler. I am not an oil smuggler but simply a farmer and a seller of clothing materials. As a pious Muslim, I must always speak the truth, no matter whose ox is gored. As long as it is the truth, I must stand by it. And if anybody sees me doing something wrong, I will appreciate they make efforts to caution me from my misdeed. You recently advised the President to open the borders because people are hungry. Some people say it will only make us remain backward and that we have relied on importation for too long. They say you must have been benefitting from illegal smuggling. As soon as Buhari mounted the saddle of leadership, he closed the borders and ordered Nigerians to go back to the farm. My question is how can you tell people to go back to the farm without the machinery they need to do that? I remember that the Federal Government introduced a programme known as ‘Back to Farm’’. However, prior to the commencement of the rainy season in Kano State, no farmer had been given one kobo for the commencement of the programme. Fertiliser currently costs N10,000 per bag or a little more. My question therefore is how can somebody have the borders closed and tell you to go to farm without fertiliser and farming tools? Does he want the masses to die? Before the President passes an order, it is reasonable for him to put some palliative measures in place, which he failed to do. During Buhari’s administration between 1983 and 1985, they used to exchange oil for rice and essential commodities, which is called trade by barter. He has not brought anything for the people to eat but he has hastily closed the borders. Do you want the masses to perish from hunger? Is the President not eating in Aso Villa? Also, is the President’s wife not eating? My argument is that before the President closed the borders, he should have put palliative measures in place. The truth is that people are dying by instalments in their houses because of hunger and starvation following the current harsh economic realities. How can Nigeria develop and be self-sufficient if they open the borders, while Nigerians continue to depend on imported products? I am not telling people to continue to rely on imported products but my argument is that before closing the borders, the people should have been supplied with all the necessary essential commodities, including fertilisers and other things required. After one year, there is a tendency that they will start to stabilise, then the President can comfortably close the borders. I am not saying that it is improper to close the borders but if you fail to provide the basic necessities for the masses, there is therefore no justification to close the borders. The Federal Government’s policy to close the borders is not wrong but there should be an arrangement to stabilise the system, particularly in food sufficiency in the entire country. As long as there is no food, there is no moral justification to close the borders and stop food from coming into the country. That policy is wrong. There should be stability in food supply or sufficiency in the nation. Where there is no food, it would be unjustifiable to close the borders and stop food from coming in. There must be food sufficiency for everybody before the closure of the borders. However, the policy is good because Nigeria should rely on its internally-generated products and that has to be done when there is stability in basic necessities of life. Are you trying to score cheap political points with your recent criticisms of the President as some people are wondering why a member of the APC would be publicly criticising a leader of the party? Yes, those people do not know who Hussaini Mairiga is. I have been with President Buhari since 2002, when he veered into politics and I am still his supporter and follower. I will therefore not close my eyes and overlook his other side because he is the President of the nation. He is a human being like me and was given power by almighty Allah, and by tomorrow, Allah may bring him down. Any person who is an administrator that I follow, I must tell him whenever he goes wrong. Certainly I will not start criticising him after his tenure in office. I have to tell him the truth and I often call my friends in government on phone for them to advise the President on what Nigerians are actually facing. I also personally call on phone but they often refuse to respond to my numerous calls. The truth is that I was a member of the then All Nigeria Peoples Party (now defunct). Speaking from my experience, I observed that the party executives always hid the truth from Buhari because they wanted to get something from him. But as for me, I am not lobbying for any position from him and therefore, I have to tell him the truth, no matter how bitter it is, to enable him to right his wrongs. Don’t you think criticising him now is premature since it is a new government that is trying to restructure? What is the big deal about a new government? It’s indeed the tradition of any political party to make its mark from the first year and the second year in power, as the third and fourth years are for politicking and rigorous campaigning. As a result-oriented politician, the first and second years are enough to make headway, while the remaining two years are for politicking. Based on this reality, I have no alternative but to talk to Buhari and tell him the truth. Even if I am victimised for doing so, It is okay as long as I am fighting for the Nigerian masses. I would not mind stepping on toes as long as I am speaking the truth. But is it fair for you to describe Buhari as a failure when he has not even spent two years out of his four-year tenure? What I am emphasising is that the Buhari-led administration is almost one and a half years old and it has about six months more to attain two years in office. My argument is that after two years in office, political campaigns will be flagged off. President Buhari therefore has barely six months to achieve something in order to take Nigeria to another level. I am worried by the situation and that is why I have to tell him the truth to enable him correct it. In essence, every politically-elected government to has two years to perform. After the first and second years in office, the third and fourth years are used by politicians to seek and clamour for juicy positions. At that time, politicians will hardly concentrate on governance. Why have you been so hard on the President when you know that the price of oil, which is the mainstay of our economy, has reduced drastically? During Muhammadu Buhari’s administration as Military Head of State between 1983 and 1985, the price of a barrel of crude oil was below what it is today. Despite the unattractive price of oil at that time, Buhari’s administration made substantial progress to move the country to another level of economic prosperity. What is also worrisome is the claim that a lot of money has been recovered from corrupt public officers and to date, nobody is aware of where the money is being channelled to? To this extent, the government’s inability to perform is inexcusable. The same government kept drumming into the ears of Nigerians that about N3tn has been saved with the Single Treasury Account. Also, the same government kept announcing that a lot of money has been recovered from people who stole from the government and all that. Therefore, the question is where has all the money been channelled to? Why is the government crying publicly that there is no money? What about all the atrocities and other corrupt practices we hear were committed by the immediate-past government, shouldn’t the previous governments also be blamed for the mess Nigeria is experiencing today? I am not blaming the previous administration and I must also point out that I am not a member of the Peoples Democratic Party. But let me tell you the truth, during the PDP government, it was only insurgency that was the most critical situation in Nigeria. Apart from security challenges, the masses were able to afford their needs. A 50kg bag of rice sold for between N7,000 and N8,000. The price of kerosene per gallon, at that time, sold for not more than N200. But currently, the price of kerosene sells for N1,200 per gallon. The same measure of garri that was sold for not more than N150 currently sells for N500. It’s good to face the truth. During the PDP administration, prices of essential goods and commodities did not hit the roof top as it is today. The bottom line is that the Buhari-led government has to urgently do something to alleviate the ongoing level of untold hardship and poverty in the country so as to bring relief to Nigerians who are currently in critical condition. What is your assessment of the ongoing anti-graft war of the Buhari’s Government? That is very good and I am giving him all my support. I am with him. What do you make of the budget padding scandal, especially as a Film Village to cost about N3bn and to be sited in your state (Kano) was included in the budget? I don’t want to meddle with legislative functions because I have never been a legislator, so I have no comments on that question. All I can say is that our legislators should have the fear of God while performing their constitutional duties. They should realise that the masses are experiencing untold hardship and there is the need to join hands together to resolve the ongoing economic crisis impoverishing Nigerians. As a follow-up, the Federal Government recently announced that the budget was not padded and some people have accused the government of protecting Dogara. Do you agree with that insinuation? This is a similar question you asked me earlier and my response remains same. What is the latest on the APC crisis in Kano which created factional chairmen, including you? We have three factions, not two. One is under the leadership of Haruna Doguwa. There is the Kwankwasiyya, the Abdullahi Sanusi-led faction, known as Gandujiya and lastly, I Hussaini Mairiga from the All Nigeria Peoples Party/Congress for Progressive Change. Let me sensitise you, the APC crisis is not only in Kano. I must tell you that the current crisis bedeviling the APC is worse than that of the PDP because as I speak with you, the party is grappling with crisis in about 20 of Nigeria’s 36 states. But let me inform you, the national APC has not deemed it fit to set aside one day to settle the disputes tearing the party apart in the states. What is more important to them than anything else is to search for contracts. They don’t care about anybody in the APC. Also, just recently, I heard that in Ondo State, the party is divided into two. There is also crisis in Kaduna, Kogi and Zamfara states, indeed in a lot more states than I care to remember. Actually, the APC has a lot of problems in the entire country. The party is not even thinking of how to reconcile the feuding parties in the states. This is simply not a party but we have to still move on because it is our party. I am from the ANPP. I surrendered my certificate for the merger deal. But let me tell you, the APC has to do some major tasks to reconcile all the feuding members. It’s not only in Kano, it is happening in about 23 states. Is there any possibility of reconciliation with the other factional chairmen of the party in Kano? Yes of course, because I am from the ANPP and I want my party to win in all the states of the federation, so I have to do it but I will however not be party to injustice. I will not condone selfishness, I will not agree with anything that will not help my people or something that will take us 20 steps backward. Is it your submission that there is currently injustice within the rank and file of the APC in Kano? Of course, there is. You should know what has happened in Kano. I have written letters, spanning over two years to the national headquarters of the APC, protesting injustice. The national headquarters of the party did not for once respond to any of my letters because it has been backing the government since Rabiu Kwankwaso’s administration. After Kwankwaso’s tenure, it is now backing Abdulllahi Ganduje’s administration. This is what is happening in Nigeria as people are sheepishly following those in government. As soon as one leaves power, he will be criticised. This is not how to govern, we need to come together and unite, as we have been proclaiming that in unity we stand and divided we fall. We need transparent justice in our daily activities. How would you describe your relationship with the two other parallel APC factions in the state? The relationship is of course cordial: one person is from Gandujiya, another is from Kwankwasiyya, while I am from the (defunct) ANPP party. We are always together; as we do exchange pleasantries each time we meet at gatherings or at public places, but the truth is that there is crisis in the Kano APC. What in your opinion is tearing the Kano APC apart? The trouble started during the Rabiu Musa Kwankwaso-led administration. He merged our party, the ANPP into APC. He used his powers to pocket everybody. Kwankwaso appointed only one person as the leader from the wards to oversee the 44 local governments. Also, it was Rabiu Musa Kwankwaso that singlehandedly appointed all the 44 local government chairmen. In addition, Kwankwaso was responsible for handpicking all those to be elected to the Federal House of Representatives at the national level, so that is the genesis of our crisis. Till date, Kano State is grappling with the protracted political crisis. What are your recommendations on reuniting the three APC factions in the state? I am appealing to the national headquarters to urgently dissolve all the three APC factions in Kano, including mine and replace the factions with a Caretaker Committee for at least one or two months before arranging for a fresh, free, transparent and credible election. Finally, the current crisis bedeviling Kwankwasiyya and Gandujiya, if not urgently addressed, will make us lose the state to the opposition. The followership of both movements are busy engaged in fighting one another as they now wear red and black caps to distinguish the warring groups, as it was done particularly during the just-concluded Minjibir re-run bye-election, which the APC won. The national leadership needs to urgently proceed to Kano to resolve the ongoing crisis; otherwise the APC will lose the state to the opposition as the Kano APC is not united. Seriously? People ask some dumb question and I wonder why they should ask the questions like that. Yes, you can ask questions about Buhari's administration as a new government, but if you asked it stupidly, you quickly rephrase the question and ask it. In deed what is the big deal about a new government? Which new government has ever debuted this way in the history of Nigeria before Buhar's? Whichever one that started this way ended this way and that was again Buhari's military administration. There has been nothing good about Buhari and there is nothing good about this administration. How can people be killed everyday in their own villages, in their sleeping beds, without any confrontation with Fulani/herdsmen? Buhari and his army just organised these almajiri's whose lives doesn't matter and armed them and send them to kill the people of Eastern region and the whole world are just there watching, waiting for a repeat of Southern Sudan to start. God forbid this kind of world where no so called leader has integrity.